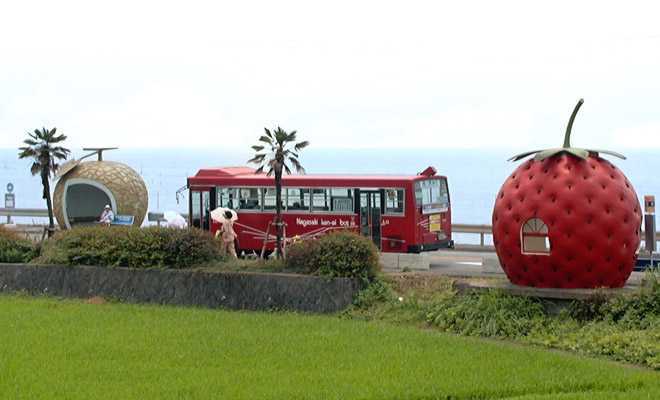 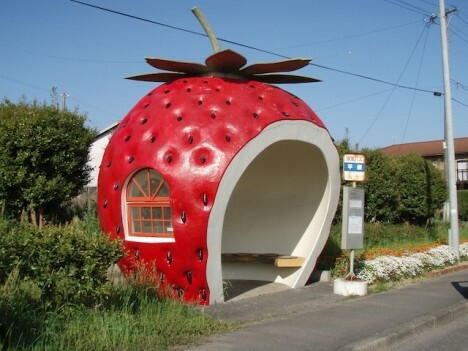 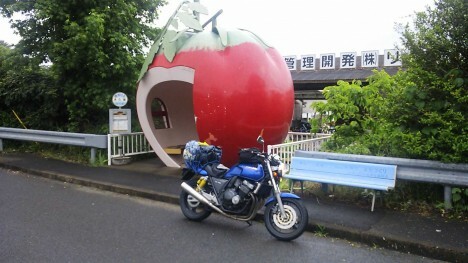 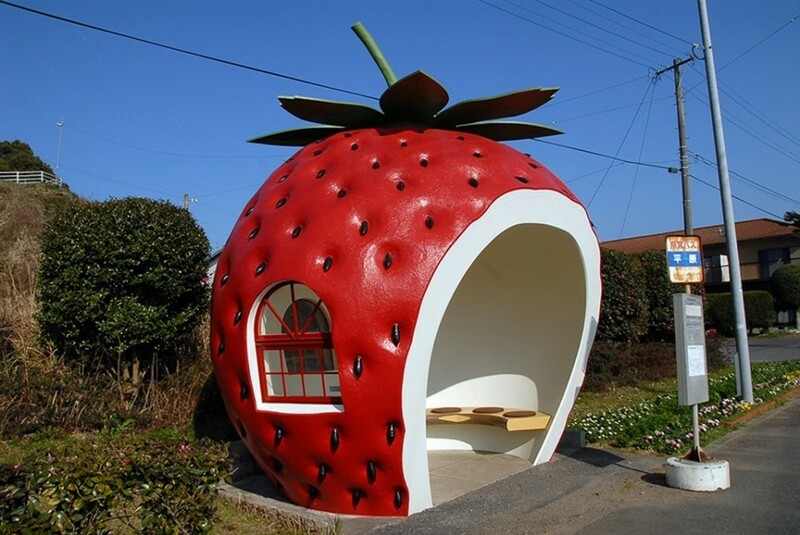 Originally built for a 1990 travel expo, these fruit-shaped bus stops from southern Japan still look as tasteful (and tasty!) 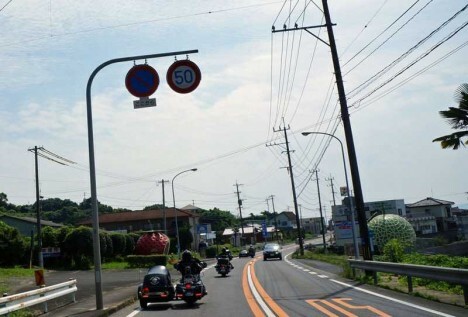 as they did 25 years ago. 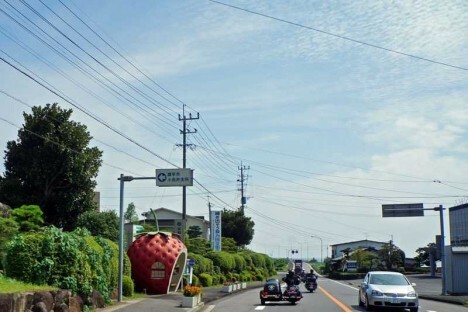 EXPO ’90 (or the International Garden and Greenery Exposition; its formal title) was hosted by the city of Osaka from April through September of 1990. 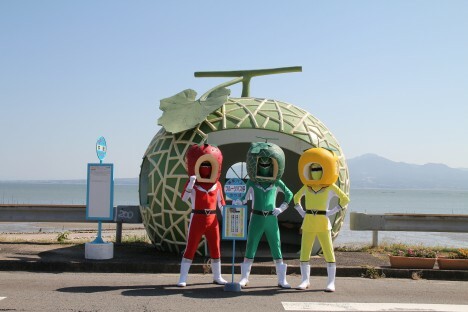 The fair attracted over 23,000,000 visitors over a six-month run, and a host of smaller fairs expressing related themes were held across Japan as well. 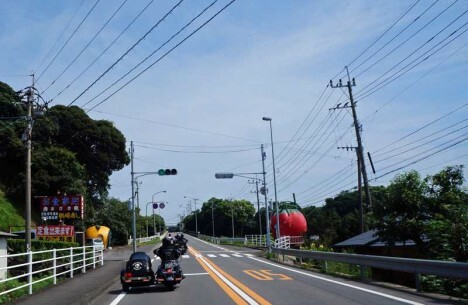 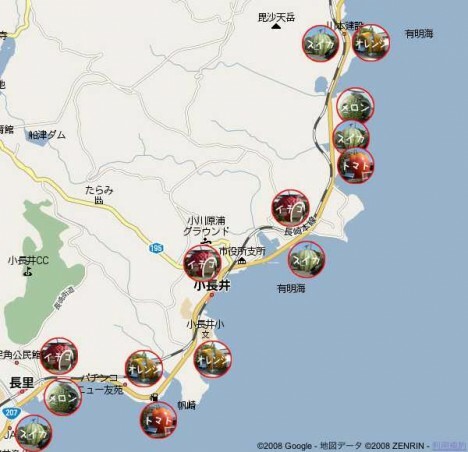 Konagai, a small town situated just east of Nagasaki, decided to jump aboard the bandwagon by hosting the little-known Nagasaki Journey exhibition. 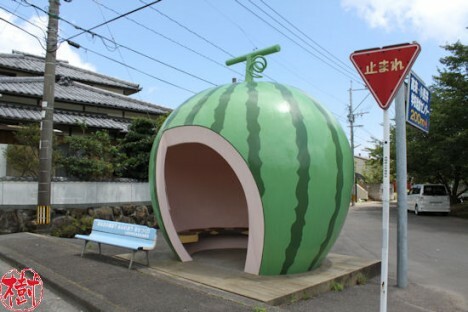 The only remaining relics of the fair are fourteen bus stops (some sources state the number to be 16) constructed in the form of hollowed-out oversized fruits! 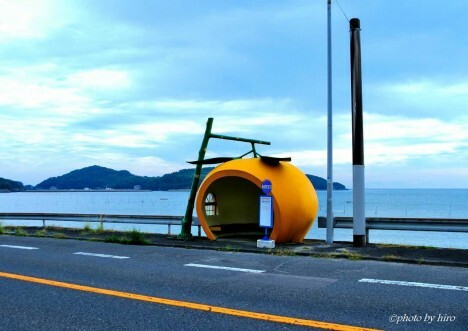 The stops have held up remarkably well over the ensuing quarter-century… still functional and in splendid shape structurally, the bus stops erected along the 207 National Highway have become a tourist attraction in their own right.